My favorite Christmas Trees of 2018! Decorating a Tray for Christmas 6 Ways! Holliday’s Holiday Gift Guide – My Favorites! Holliday’s Gift Guide – All Things PINK! As we are in the process of wrapping up this Christmas season, now is actually a great time to plan ahead for next year! 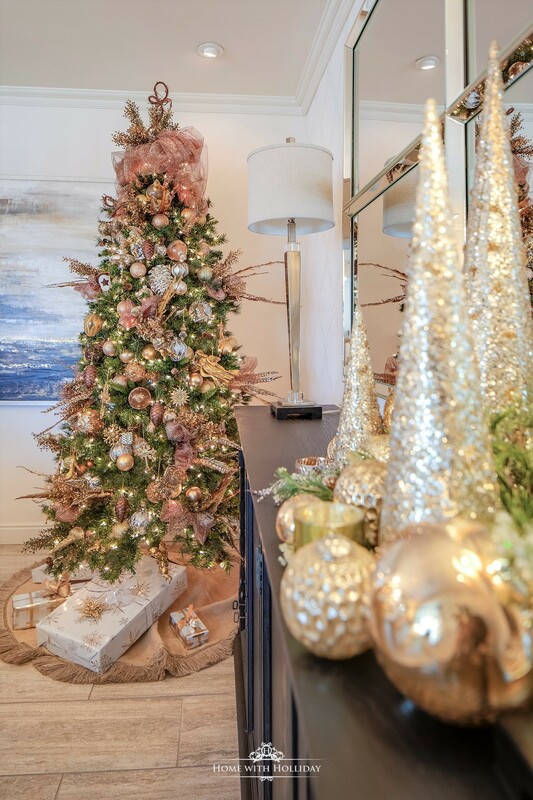 Not only am I sharing my favorite Christmas Trees of 2018 today, but I am also going to give you some suggestions to help you be better prepared for next year! I cannot believe that Christmas Eve is in two days! This has been my first full year of blogging and I have had a blast. One of the side effects of being a blogger is that you usually have to do so much planning and prep ahead of time that you typically wrap things up really early. Accordingly, decorating for Christmas started shockingly early around here so it is crazy that I am getting my Christmas Home Tour out later than I anticipated. I guess I just had so many other projects to share with you this month. Smiley face! 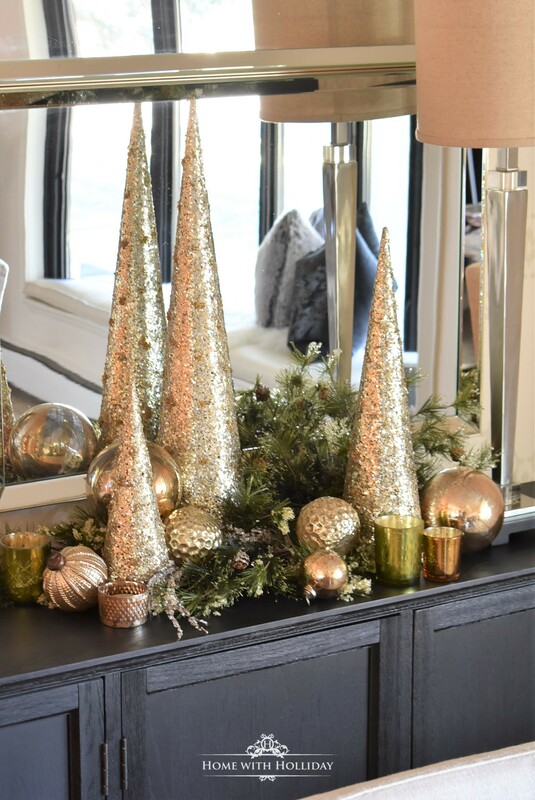 Holiday Hosting at Home #6: Christmas Tables and Decor and so much more! Hi friends! It is so hard to believe that Christmas is less than two weeks away. Are you ready?! 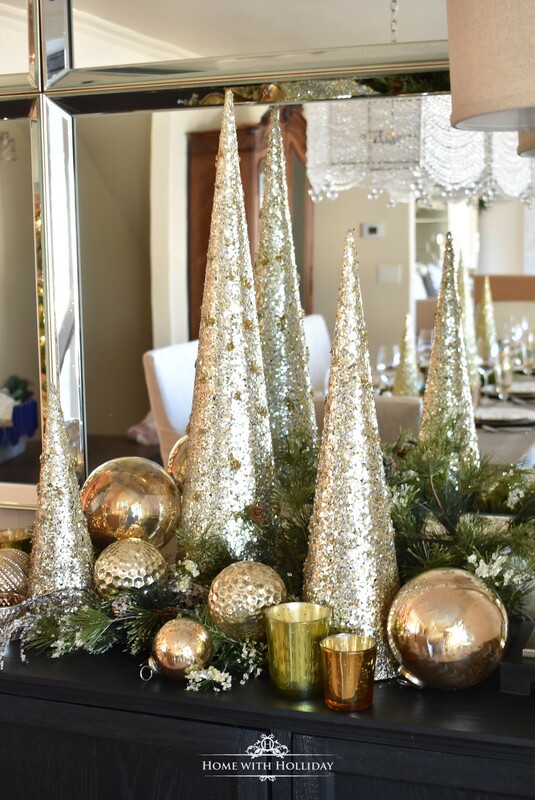 We all have been busy decorating, shopping, wrapping, designing our tables for our parties, planning our menus while throwing in a few blog posts in the meantime. We are so excited to share our sixth post in our new blog hop; Holiday Hosting at Home! Today, we are sharing what has been going on the last two weeks including some creative ideas for your Christmas tables and decor, and so much more! Interior designer, mother of two, frequent party hostess, charity event planner, sharing my passion for easy and affordable, elegant entertaining, home design, holiday decor, DIY projects, and how to recycle, reuse & re-purpose! Also, being born and raised in Dallas, TX, I love bringing the influences of my upbringing into my new life with my family and friends here in Colorado. 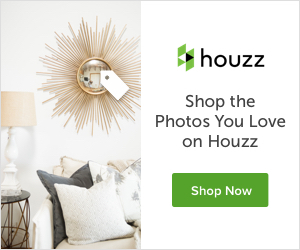 Holiday Hosting at Home #7: Need some Valentine’s Day Inspirations?! My Top Ten Posts of 2018! All posts and layouts on this blog are created solely by this "Home with Holliday" blog. Please do not use my exact layouts or designs without permission or without noting its origins on your post. All photos by "Home with Holliday" must also be credited and linked to the original post. Any comments which are deemed inappropriate ~ including general spam, offensive comments or rude language, self-promotional spam, or other items unrelated to the post ~ will be deleted. © 2015 Angel. All rights reserved.